Q. How do I find a specific journal? When you are looking for a specific journal, please follow the 4 steps listed below to locate the journal. 2. Type the name of the JOURNAL (not the article) into the search box and hit the search button. 3. Select the database that includes the DATE of the article you need. In some cases we may only have the article in print or we will have to borrow a copy via interlibrary loan. 4. 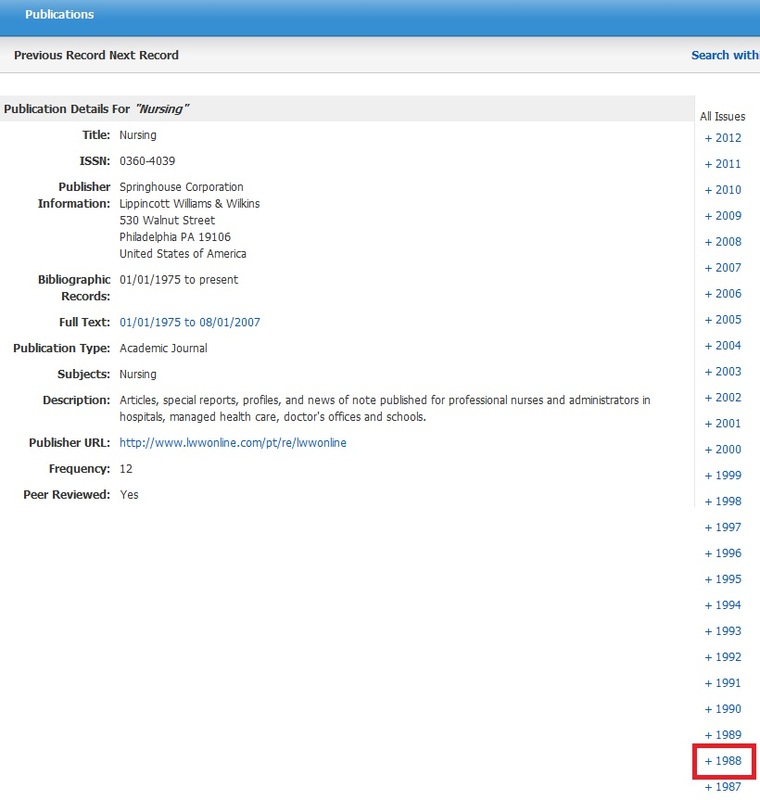 Click on the name of the database, select the year that matches the year in your article citation.